“Barriletes: Guatemalan Kite Making” will be held from 1-5 p.m. Saturday, June 3 and from 1-4 p.m. Sunday, June 4 at the Copper Country Community Arts Center, in Hancock. 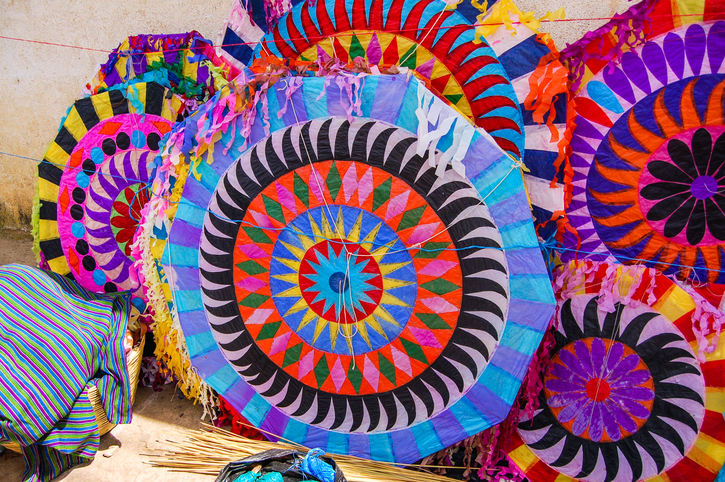 Join Lisa Gordillo and Hugo Gordillo for an introduction into Guatemalan culture and the art of Guatemalan kite making. Day 1: The class will learn about the cultural traditions of the barrilete, or Guatemalan kite. Each student will build his or her own barrilete in class. Day 2: The group will meet outside (location TBD) for a picnic and will fly their new kites. This class will be taught in both English and Spanish. (No knowledge of either language is necessary to participate!). The fee is $60 and there is a materials fee of $25 due to the instructors on the first day of class for kite supplies. The deadline to register is tomorrow, May 27. Call the Arts Center at 482-2333 for more information or to register.